Run your first race of the year at Tampa's Resolution Run. The Al Lopez Park is located in North Tampa, approximately 1/4 mile north of the Bucs Stadium. Additional race information can be found at https://neoendurance.com/Tampa/NewYears. 2020 is going to be a BIG year, and we're celebrating the New Year's with an awesome running event and post-race party! Register to run the 3rd Annual New Year's Resolution Run 5k or 10k at Al Lopez Park in Tampa, FL., hosted by NeoEndurance. This is Tampa's FIRST 5k and 10k event of 2020. YOUR RESOLUTION RUN! What are your goals for 2020? Achieve your first goal with us by finishing a 5k or 10k. Every finisher will earn a medal, a holiday-themed performance shirt, and access to local sponsors and vendors. This is a TIMED event! All bibs will be chip-timed. We're having a live musical performance, and we're going hard with an awesome band! Stay tuned in for more information. Announcements will be made on our social media channels and by email! This course will utilize the Al Lopez Park loops. Runners MUST run the large loop first, followed by the smaller loop. This completes the 5k run. 10k runners will complete this cycle twice. Our timing mats are programmed to record times only after the runner completes the course in a specific order. If the runner fails to complete the course in the following order, your time won't be recorded and there will be NOTHING we can do to help you. Once again, 10k runners will repeat the same course as the 5k runners, only they'll run it TWICE. Once we've identified locations, we'll make the announcements via social media and email. The group feature is a great way to get all your friends to run at a discounted price. To ensure that all groups pay a fair registration price, discounts will only be given once the group minimum is met. For example, if you create a group of 5-9 runners, a refund will automatically be given to the group only after the 5th member joins. The same is true for groups of 10-15 runners. If a team isn't created, you'll need to create one during registration. If a team is already created, you can select the team when you register for the event. Remember, you must have at least 5 runners identified before forming a group. This feature will end on December 1st. After this date, all runners will be required to register individually at regular price. Register and Create a Team here. There's free parking at the park, but spaces are limited. It's highly encouraged that you carpool or share-ride to Al Lopez Park. This is a rain or shine event. We don't anticipate a drastic change in temperature. It is, after-all, the "Sunshine State". However, in the unusual circumstance that this event is cancelled due to extreme weather (hurricane or heavy unrelenting downpour), there will be NO REFUND! Instead, we'll reschedule the event to the next available weekend. Placement finishers will receive a signed certificate by the Race Director with their certified time in addition to a tiered discount towards our next event. 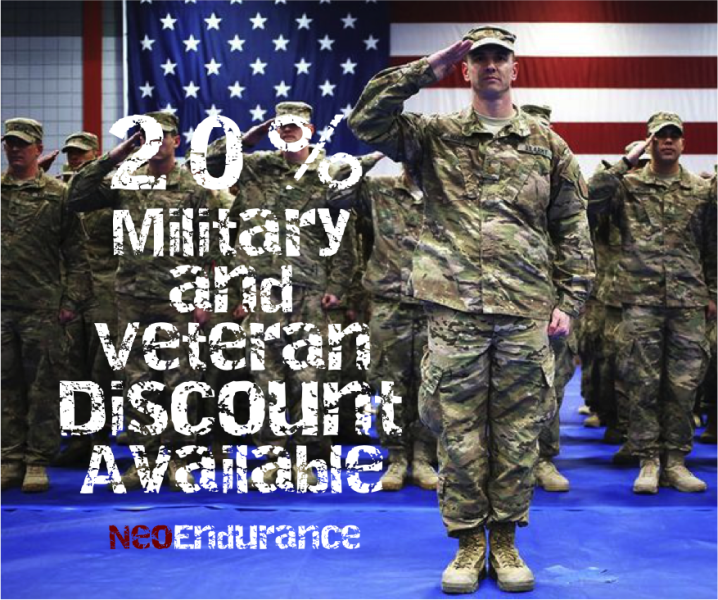 First place finishers will receive a 75% discount off any future NeoEndurance event. Second place finishers will receive a 50% discount, and third place finishers will receive a 30% discount.